In 1991, Thomas J. Brady gave a plenary address on the “Future Prospects for MRI” at the 10th annual meeting of the Society of Magnetic Resonance in Medicine. Presenting data and visualizations of the first-ever dynamic, functional images of the brain, Brady and colleagues introduced a revolution in the way researchers study the brain and the mind. Since then, magnetic resonance imaging (MRI) has moved from single-time-point scans that were separated by several minutes to functional MRI (fMRI) that can now be presented in real time. With the evolution of fields such as cognitive neuroscience and neuroeconomics, brain imaging has rapidly expanded the study of our mental faculties. Ongoing research in these fields comes not only from hospitals and medical facilities that allow researchers to use their machines, but increasingly it also comes from new research-dedicated brain imaging facilities. These centers are attracting diverse and interdisciplinary research teams from all over the globe and psychological scientists are increasingly involved in the direction and leadership of these brain imaging centers. The Center for Cognitive and Behavioral Brain Imaging (CCBBI) at The Ohio State University is a model of these types of facilities. Under the direction of APS Fellow Zhong-Lin Lu, researchers at the CCBBI have uncovered the neural basis of facial action recognition and demonstrated the association between physical activity and improved working memory for individuals with multiple sclerosis, among many other impressive research findings, all while engaging the scientific and local communities in brain imaging research. With imaging sessions that cost the researcher $550 per hour, investigators also need assistance in securing funding for their research. Critical support comes from the College of Arts and Sciences, which provides fMRI startup funding for new faculty. The CCBBI also contributes by allowing investigators to apply for free scanning hours geared toward prospective studies for which they have not yet secured funding. This pilot program makes it possible for researchers to obtain and produce data to strengthen their grant proposals. Lu explained that solidifying these opportunities for researchers interested in utilizing the CCBBI was fundamental in establishing the center. Another challenge, Lu said, was encouraging scientists using behavioral techniques, but interested in answering their research questions at another unit of analysis, to use this methodology. Learning to conduct fMRI research can be complicated and intimidating for researchers new to the process. Researchers must master safety requirements in an MRI environment that involves extra-strong magnet fields, and they must learn how to operate the MRI system as well as all the MRI-compatible ancillary equipment for stimulus presentation and data collection. They also must take into account the signal and noise properties of MRI images during experimental design. In addition, they need to learn how to process MRI images and analyze the results with emerging advanced data analysis techniques. Most importantly, they must generate hypotheses that can be tested with functional imaging that can answer important scientific questions. Despite these challenges, Ohio State’s CCBBI is exceeding expectations in becoming one of the top centers in the field for interdisciplinary research and psychological science. Ohio State’s CCBBI has three dozen principal investigators representing 17 diverse research departments across the university, including psychology, business marketing, cardiovascular medicine, electrical and computer engineering, health and rehabilitation sciences, pediatrics, psychiatry, sociology, speech and hearing science, and more. The active learning environment at the CCBBI is open for researchers, graduate students, and undergraduates alike, Lu explained, and the center houses experts in structural and functional imaging technologies, experimental design, and advanced data analytics techniques. The skilled staff and an interdisciplinary community offer opportunities for researchers of any experience level to engage in studies investigating diverse research topics. Ruchika Prakash, an associate professor of psychology who studies behavioral and neural correlates of neuropsychological rehabilitation, is a principal investigator conducting research at the CCBBI. Her research examines changes in connectivity of large-scale networks in the brain and aims to design interventions using basic sciences to tap into neuroplasticity and reduce the cognitive deficits involved with multiple sclerosis and aging. She in particular appreciates the multifaceted and interdisciplinary nature of the center. 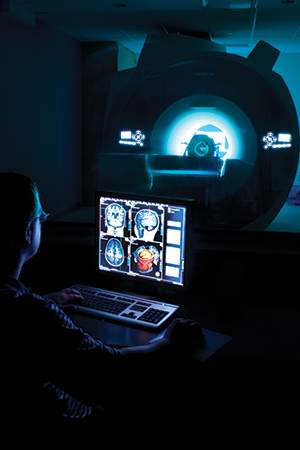 By assembling teams of experts in diverse fields such as computer science, mathematics, biomedical engineering, physics, and medicine, centers like CCBBI are drawing scientists to the field of brain imaging at an increasing rate. Outside of Ohio State’s CCBBI, there are many other psychological scientists involved in brain imaging. At the Harvard Center for Brain Science, APS Fellow Joshua Buckholtz is an experimental psychologist and neuroscientist studying the neuroscience of self-control and impulse control disorders. At Stanford University, there is APS Fellow Russell A. Poldrack, the Director of the Stanford Center for Reproducible Neuroscience, whose lab investigates decision-making, executive control, and learning and memory. In addition, Poldrack’s lab places a strong emphasis on the development of neuroinformatic tools and open science. At the University of California, Berkeley, APS Fellow Ann M. Kring researches emotion and psychopathology, specifically looking at the negative symptoms in schizophrenia and the link between cognition and emotion. APS William James Fellow Richard J. Davidson utilizes fMRI at the University of Wisconsin–Madison, where he is the Core Director, Brain Imaging Core, at the Waisman Center. His research examines the neural bases of healthy and disordered behavior, studying individuals with anxiety and mood disorders as well as expert meditation practitioners to inform our understanding of emotional and contemplative styles. 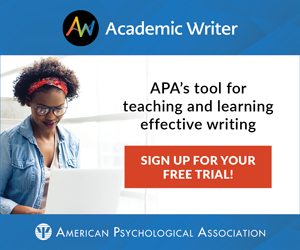 In Germany, APS Fellow Angela D. Friederici, Vice-President of the Max Planck Society and Director of the Department of Neuropsychology at the Max Planck Institute, has identified specific neurophysiological markers reflecting the phonological, lexical, and syntactical processes involved in language learning and development. Her department is one of many at the Max Planck Institute using fMRI to study language in the brain. In the United Kingdom, APS Fellow Heidi Johansen-Berg is the Director of the Oxford Centre for Functional MRI of the Brain at the University of Oxford. Her research examines brain plasticity and how the brain responds to learning, experience, and damage. Her work has had a real-world impact by illuminating methods for rehabilitation for individuals who have had damage to their brain. Meanwhile, these centers also are bringing outside perspectives into psychological science. Ming Hsu, an associate professor at the Haas School of Business at the University of California, Berkeley, did not study psychological science in graduate school — he has a PhD in economics and a bachelor’s degree in political science — but he now conducts technical research involving cognitive neuroscience, economics, psychology, and marketing. His studies examine social behavior and decision-making “through the lens of game theory” with a basis in competition and cooperation. Utilizing brain imaging centers, Hsu has collaborated with neuroscientists and psychological scientists, taught as a professor of psychology, and examined the genetic and molecular mechanisms behind marketing and consumer choice. At Ohio State’s CCBBI, Lu has a background in physics but has applied himself to the field of cognitive neuroscience and psychology, with more than 200 publications relating to the computational and psychophysical study of perceptual and sensory brain functions and deficits. The physicist has served as a professor of psychology, biomedical engineering, and neuroscience. These brain imaging centers offer unique opportunities to bring researchers from disparate backgrounds together to conduct impactful, cutting-edge research in the name of psychological science, neuroscience, and medicine. The research topics at these centers are simultaneously wide-ranging and specific: The easiest summary is, if you can think or feel it, somebody is probably studying that process using fMRI. While they are gaining public interest, neuroscience and brain imaging are not always the most easily digestible subjects. Those unfamiliar with the discipline may feel as though they are reading a foreign language when trying to parse a jargon-filled, peer-reviewed article, but Ohio State’s CCBBI has programs designed to change that. At the CCBBI, Lu and his colleagues are dedicated to keeping their doors open to Ohio State’s large student body. The center hosts national and international brain imaging experts and provides monthly forums intended to facilitate interdisciplinary discussion on brain imaging ideas and techniques within the university’s community. Researchers offer workshops designed to promote partnerships between student researchers and to help foster a student imaging community by supporting a student organization of emerging fMRI researchers and providing fellowships to graduate students, especially women and minority students to conduct imaging research. Undergraduate and graduate students are able to take university credit courses in fMRI taught by experienced faculty who conduct research at the center. This innovative, hands-on opportunity allows students to learn design and analysis of fMRI experiments and operation of a Siemens PrismaFit system in a real-world facility. The CCBBI is also open to institutions that do not have the capabilities to use or access the same type of facilities for research. The Center is a member of the Concussion Neuroimaging Consortium, which consists of nine universities aiming to advance evidence-based treatment for traumatic brain injury by establishing best practices for diagnosis, prognosis, and management of head injuries. The CCBBI currently collaborates with Kent State University, Nationwide Children’s Hospital, Wright State University, Arizona State University, University of Toronto, University of Southern California, and University of California, Irvine. 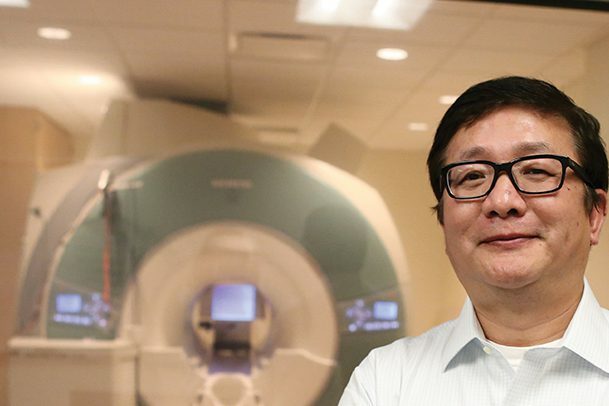 “CCBBI’s availability to institutions that do not have fMRI capability contributes to building a broader community of researchers who can learn different research approaches through cross-institutional collaborations,” Lu said. “The establishment of Ohio State’s CCBBI contributes significantly to recruiting first-rate scientists to the university, facilitating advanced imaging research, securing internal and external grants, and educating the next generation of imagers,” Lu said. By supporting researchers and students from various disciplines and promoting collaboration on impactful and applied research, the CCBBI and centers like it have set an impressive precedent for neuroimaging centers.